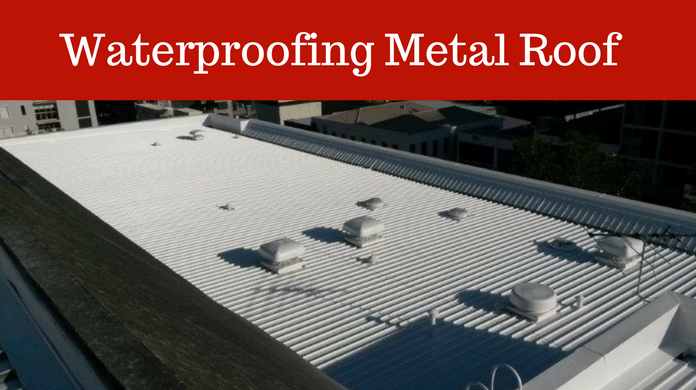 The Findlay-Evans Team have successfully waterproofed and repaired many commercial and industrial roofs in Melbourne’s CBD and throughout Victoria. Using a spray-applied waterproofing method to coat roofs is extremely fast & cost effective. A single spray-applied coating of liquid membrane can bring an old roof back to looking new. An leaking roof - flat, concrete or metal - and often the damaged membrane itself, do not have be removed. This provides a fast and efficient repair process for roofs without costly disruption and downtime. F.E.W offer a unique waterproofing repair method for existing leaking roofs by over-spraying with a liquid membrane. Find out how we brought a badly damaged roof back to life – see video below. CitiPower’s J Substation is situated in Melbourne’s CBD in an historic red brick building at the corner of Spencer and Lonsdale Streets. This facility is still in use even though currently undergoing a complete refurbishment. We provided a complete repair of the extremely damaged roof membrane even with refurbishment works occurring on-site; our liquid spray applied system is fast and efficient. These hard wearing, seamless, monolithic and flexible systems can also be structurally reinforced. Our preferred choice of waterproofing product that provides a cost effective & robust roof repairs is the cold spray-applied Liquid Rubber waterproofing system. Amongst the many unique properties of a Liquid Rubber membrane, there are two which are critical for roof waterproofing: extreme flexibility combined with strong adhesion – both ideal qualities for a rooftop waterproofing membrane. Liquid Membranes provide water protection to a wide range of surfaces; metal, concrete, timber and asbestos. Liquid Rubber can also encapsulate rust and asbestos and is UV stable and Eco-friendly. A case study here we’d like to share with you – a tricky industrial roof in Melbourne CBD; actually it’s an historic building. This is a power station providing power for a many of the new high rise buildings being built up and around it. We were asked to come in through another contractor. The builder in this case required professional waterproofers with a specialized system to rectify a badly deteriorated roof. This roof was leaking into the power station below. So we took the challenge on and developed a system that would work and we’re very happy with the results and just like to share that with you. There were five separate roof areas over the whole span of the building which was an old Victorian building – some hundred and so years old. The various roofs had been built up over the period of time with a multitude of different types of membranes. So each roof, pretty much had to be dealt with individually. One of our suppliers actually said there was more cracks than roof when we showed them photographs and a proposal to rectify. Our meticulous preparation involved filling up all the voids and cracks, giving the roof a new surface for the liquid membrane to adhere to. After the preparation was completed, then we started spraying a liquid rubber membrane over the top. We built up the membrane to approx 1500 micron. Specialist areas were treated with special reinforcing mat and sprayed with a dark grey liquid rubber, to help reflect that a little bit. The Liquid Rubber was idea as the roof had multiple stairs adjoining into various levels. We could successfully flashed off all fixing points. This was a very successful job, all things came together really, really well and their clients were very happy with us, we’re very happy with the end result. We were proud of this job which showcased this historic building. Just like to share that with you, thanks for listening, if you got any questions please give us a call. Our spray equipment can be dismantled and easily re-assembled on rooftop terraces. This means we can provide waterproofing membranes for all roofs which have access. Using a Thermo Top Coat together with Liquid Waterproofing Membranes, a roof becomes permanently impervious to water and also has the properties of UV stable, seamless, flexible and robust roof coating. 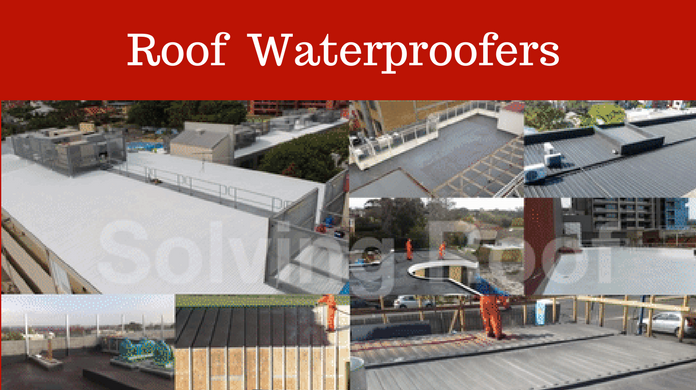 F.E.W Waterproofing are specialists using liquid applied membranes for all new and existing roofs.